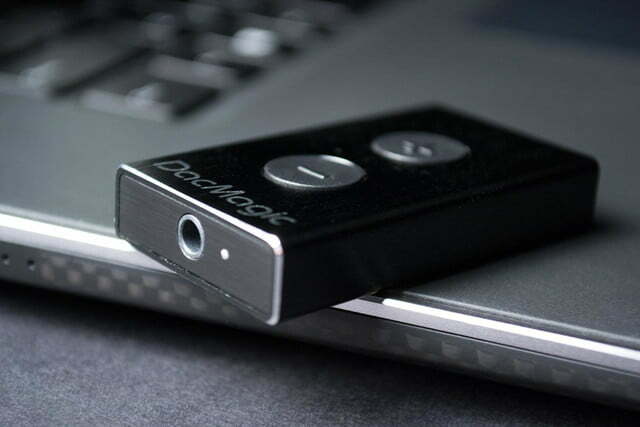 This tiny device sounds spectacular, and its ability to turn any computer, Mac or PC, into an audiophile-worthy source can’t be understated. It’s appalling how terrible audio processing is in some laptops. What sense does it make to spend a bunch of money on a turbo-charged processor, blazing fast graphics card, gobs of RAM and a speedy solid state drive (SSD) only to wind up with terrible sound? The culprit is a lousy digital to analog converter (DAC), poor headphone amplifier, or both. For whatever reason, audio processing in laptops is just not a big priority for manufacturers. But for those of us that use our laptops or even desktop PCs for listening to music or watching movies – especially while travelling – good sound isn’t a nice perk, it’s absolutely essential. The “magic” inside the DacMagic XS is created by the ESS Sabre ES9023 24-bit DAC chip. 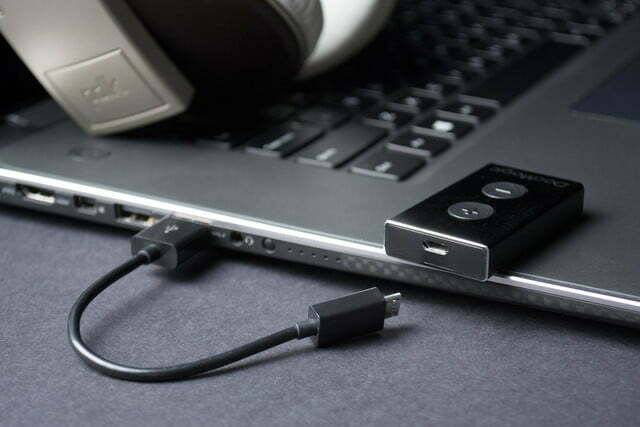 The solution is a relatively new product category: USB-based DACs/ headphone amplifiers, and, among them, a subcategory of super-small, easily portable “dongles.” In all cases, the devices do an end run around a PC’s on-board audio electronics through the USB port, using premium electronics to tackle the digital-to-analog conversion, and in some cases, amplification. The result is usually significantly better audio, but in certain cases, the resulting audio quality can be outstanding, audiophile-grade stuff. For this review, we’re checking out the Cambridge Audio DacMagic XS USB DAC, which fits in among that super-compact sub-category. Priced at $190, the DacMagic XS sits toward the upper end for products of its type, but Cambridge is well-known for producing exquisite gear. We gave the tiny device a thorough run over the course of several months to see if it’s as excellent as its price would imply. Here’s what we found out. The DacMagic XS is smaller than an old-school box of matches. As such, it could easily fit in your pants pocket. More practically speaking, it’s completely undetectable in a laptop satchel or backpack. 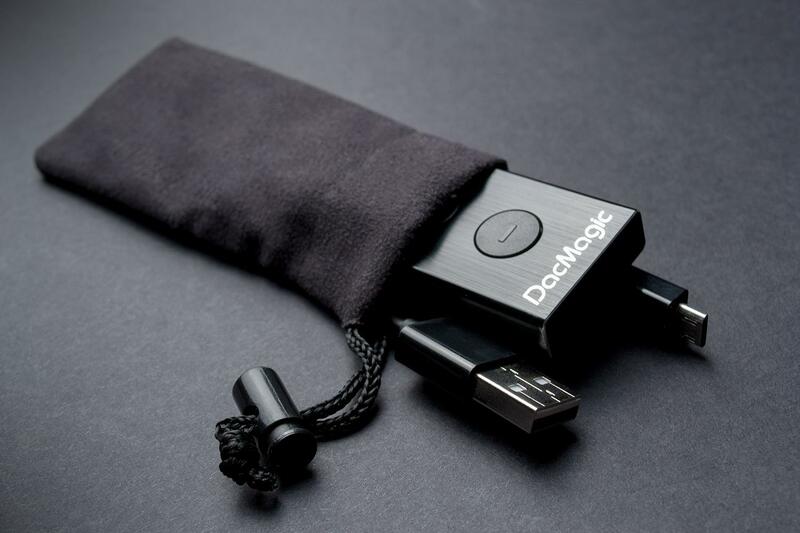 The device comes only with a 4-inch long USB to mini-USB connection cable and a small black carry pouch just barely big enough to contain the DAC and its cable. That’s it. 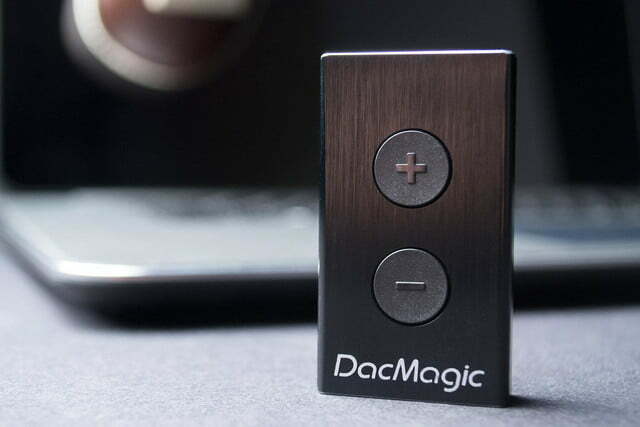 The DacMagic has a premium aura to it, thanks to its metallic casing and the solid feel you get as you press its on-board volume buttons. As we held it in our hands, we had a hard time believing something so small could be so effective. We were about to find out, though, that it totally can be. The “magic” inside the DacMagic XS is created by the ESS Sabre ES9023 24-bit DAC chip. This isn’t Sabre’s top of the line – it offers some ultra-high performance 32-bit chips with some extremely high digital noise reduction (DNR) specs. Still, the ES9023 is no slouch by any means. These chips are generally considered among the best available, and are capable of handling any kind of audio file, including high-resolution FLAC files, right up to 24-bit/ 192 kHz (with a USB 2.0 connection. USB 1.0 is only capable of supporting playback up to 96 kHz). 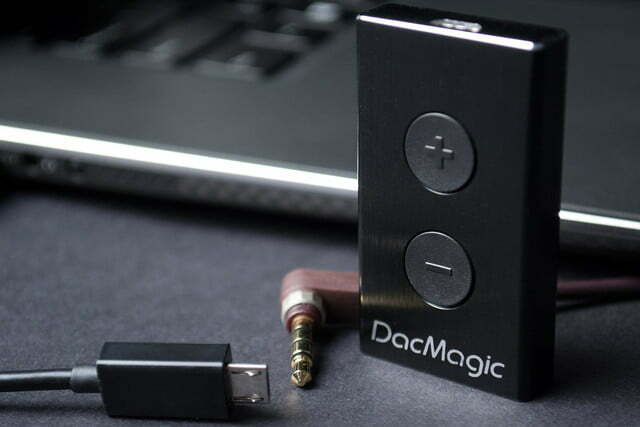 That chip appears to be what generates the same sort of magic for the wildly popular Dragonfly USB DAC, so, in theory, the DacMagic XS could sound very similar, if not nearly identical. At almost $50 less expensive, the Dragonfly might seem like the better deal and, for some, it may be. 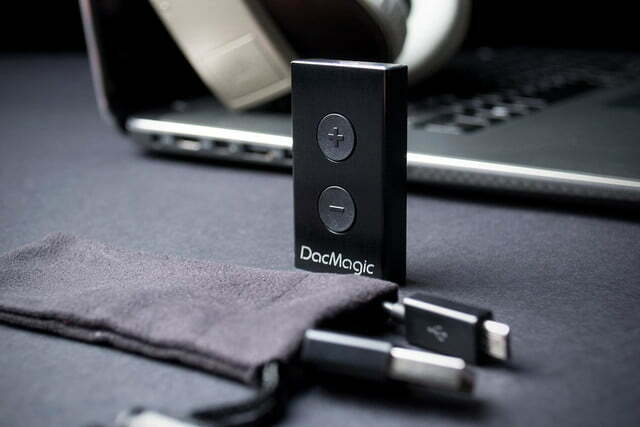 But for us, the DacMagic XS provides an advantage in that it uses a cord to connect to a USB port, making it a little more flexible. Also, we like the feel and resilience of the metallic case. 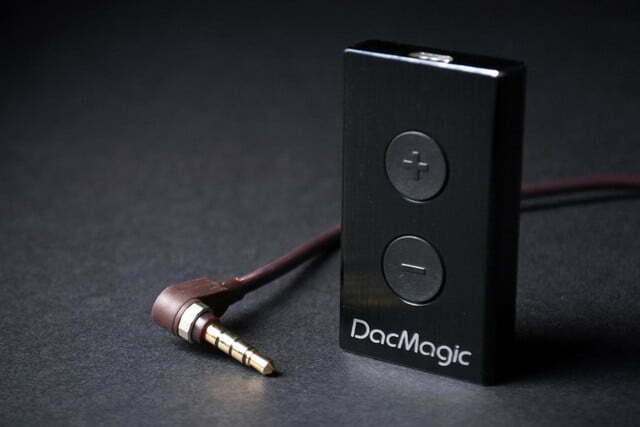 Unfortunately, the DacMagic XS is not a plug-and-play device. In order to get it up and running, you’ll need to download a specific driver from Cambridge Audio’s website. There are two different drivers available, and the link for the driver is not easy to spot if you navigate there on your own. Once there, you must determine if you are able to run the device in Class 2 mode or Class 1. Once you’ve figure that out, the driver must be downloaded and installed. The whole process is a bit of a hassle, especially considering that using it on multiple computers means multiple installations. If you’re looking for the DacMagic XS USB driver download page, you will find it here. As expected, the DacMagic XS sounded fantastic. What came as a surprise was just how fantastic it sounded. The Hewlett Packard all-in-one PC we use on a daily basis comes with “Beats Audio” which involves a redesigned headphone jack that reduces ground noise, a discrete headphone amplifier, a dedicated “audio island” (basically its own circuit board to reduce interference) and then a bunch of post-processing that allows changes to the EQ, etc. In short, it’s got a bunch of upgrades that are supposed to make it sound better than most all-in-one or laptop computers. We’ll grant Beats audio it is slightly better than most stock system in some regards, but it can’t come near the capabilities of the DacMagic XS. This tiny device transforms any computer into a high-fidelity source worthy of anything from a nice set of headphones, to a full-blown, high-end two-channel stereo system. The sound it generates is virtually free of noise, immune to jitter and sounds so natural and organic, you’ll wonder how you ever put up with your computer’s crappy on-board audio output. Simply put, using the DacMagic XS is a transformative experience. We really appreciated the on-board volume control for on-the-fly adjustments without having to interrupt our work or movie watching, too. On the other hand, we have some concerns about the lack of strain relief on the USB cable. 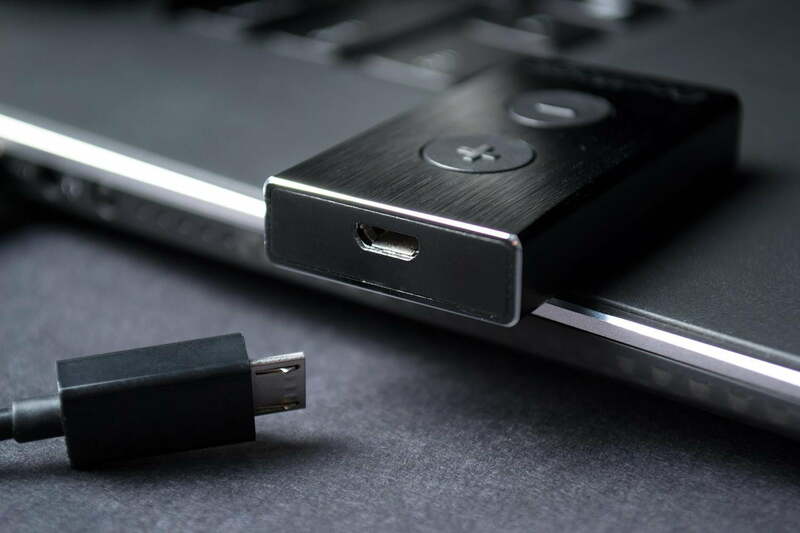 Without enough care, it would be easy to break the mini-USB jack in the device – and that would be a shame. We highly recommend disconnecting the cable any time the device is stored. The Cambridge Audio DacMagic XS USB DAC/headphone amplifier’s $190 price tag may seem a little steep, especially when the well-reputed Audioquest Dragonfly v 1.2 is appears to be very similar, likely capable of the same performance and at about $40-$50 less. But we prefer the look and the feel of Cambridge’s take. 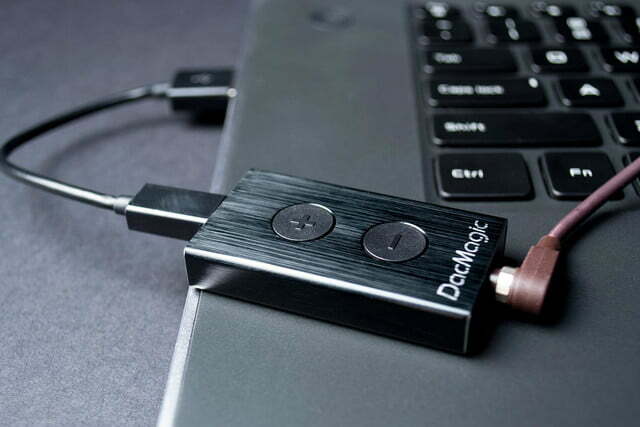 This tiny device sounds spectacular, and its ability to turn any computer, Mac or PC, into an audiophile-worthy source can’t be understated. The DacMagic XS now goes anywhere our laptop does, and it offers the bonus of making business travel just a little more tolerable We highly recommend it.